When it comes to fixed awnings and canopies, retractable awnings, and pipe frame awnings, Fitzsimmons Awnings has it covered. We can custom build to your needs whether it is a residential or commercial project. Our fabric awning and canopy products are professionally crafted, leading t he industry in the production of awnings, canopies, and other architectural fabric structures for homes and businesses. 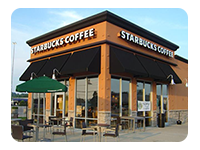 Our awning company specializes in retractable awnings, commercial awnings, business awnings, and residential awnings. We serve Kentucky and Ohio including Louisville, Cincinnati and Northern Kentucky. 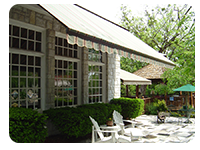 If you’d like to learn more about what we can do for you, please contact Fitzsimmons Awnings. Looking for Upholstery Services for your vehicle, boat, restaurant or business? Click here to visit us at Fitzsimmons Upholstery. © 2012 Fitzsimmons Awnings. All rights reserved.